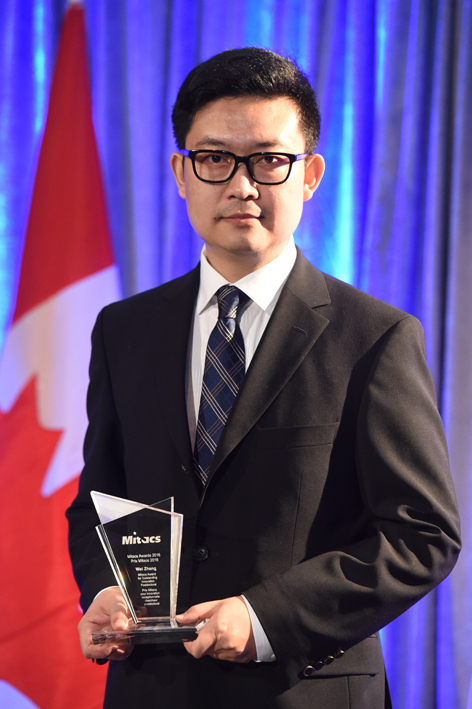 Dr. Wei Zhang This week, Zhang received the Mitacs Award for Outstanding Innovation, for his work on creating molecular antidotes against viruses that cause Middle East Respiratory Syndrome (MERS) and Crimean-Congo Hemorrhagic Fever (Congo Fever). His patent-pending research was crucial to the launch of a new Toronto-based company called Ubiquitech, which will further commercialize his work so it can be used in a clinical setting. As a postdoctoral research fellow in Professor Jason Moffat’s group in the Donnelly Centre, Zhang already holds a competitive Elevate Fellowship from Mitacs, a nonprofit which supports innovation across public and private sectors. The fellowship enabled Zhang to start thinking about commercializing his research through a collaboration the with the Centre for Commercialization of Antibodies and Biologics (CCAB), the industry partner for his fellowship, located at the U of T.